As mentioned in a previous post on using Google Analytics to find our top producing social networks, we wanted to (1) identify traffic sources where our readers were consuming our content but (2) where we had not put much emphasis on yet. The Google Analytics results clearly showed that Flipboard was steadily increasing in referral traffic. Readers ‘stumbled upon’ our content in Flipboard, but that was it. Leading to the question: How can we engage this audience and turbo-charge the content discovering process? To start the dialogue, I decided to create a Flipboard Magazine for our blog – the Social Media Minute. Not familiar with Flipboard? In simple terms, it’s a social magazine. They describe themselves as part social app, and part magazine and news app. It gathers content from social networks, news publications, and blogs. Then the app displays stories, articles, blog posts, videos and other pieces of content in a magazine-like format. In simple terms, it’s a social magazine. They describe themselves as part social app, and part magazine and news app. It gathers content from social networks, news publications, and blogs. Then the app displays stories, articles, blog posts, videos and other pieces of content in a magazine-like format. Flipboard is one more point of distribution for your content. 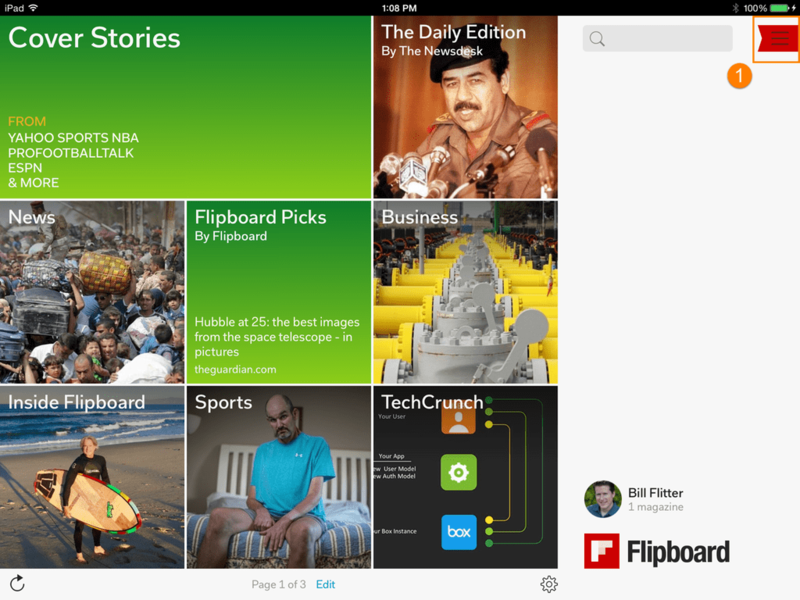 Flipboard users will discover your blog posts as they look for new content to follow. Ideally, I wanted to create a magazine by just adding our blog’s RSS feed. There are numerous discussions on this topic. However, they all lead to the unwanted conclusion that they are very specific requirements for adding a feed, which may be problematic for some. 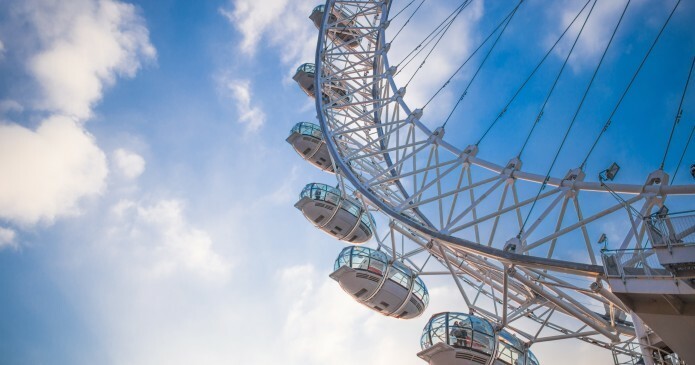 Sign-up for dlvr.it. If you have an existing dlvr.it account, skip step #2 and go directly to the instructions on ‘How to create a Flipboard Magazine’ below. 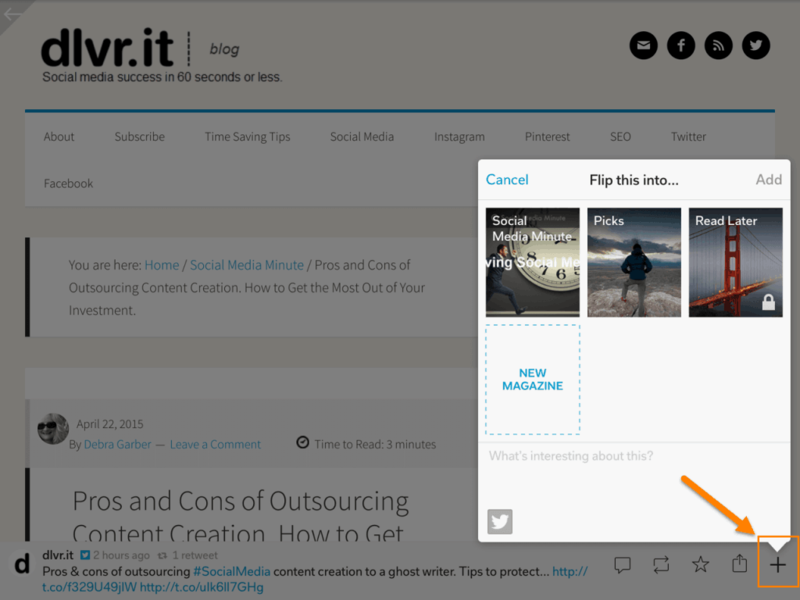 dlvr.it will automatically convert your RSS feed into a format Flipboard can process. 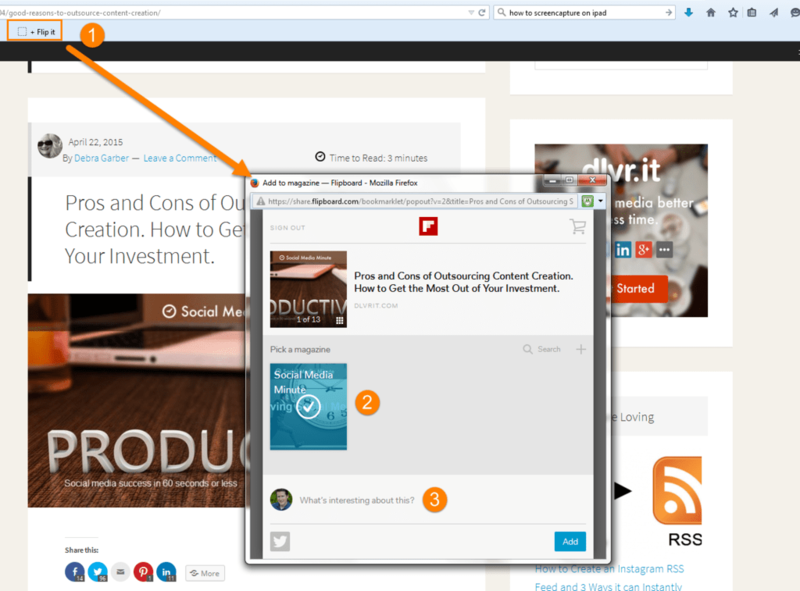 You can customize and personalize the RSS feed and social updates. Our getting started guide will help you create your first route. With just a few clicks, you can easily create a Flipboard Magazine and start engaging new readers. 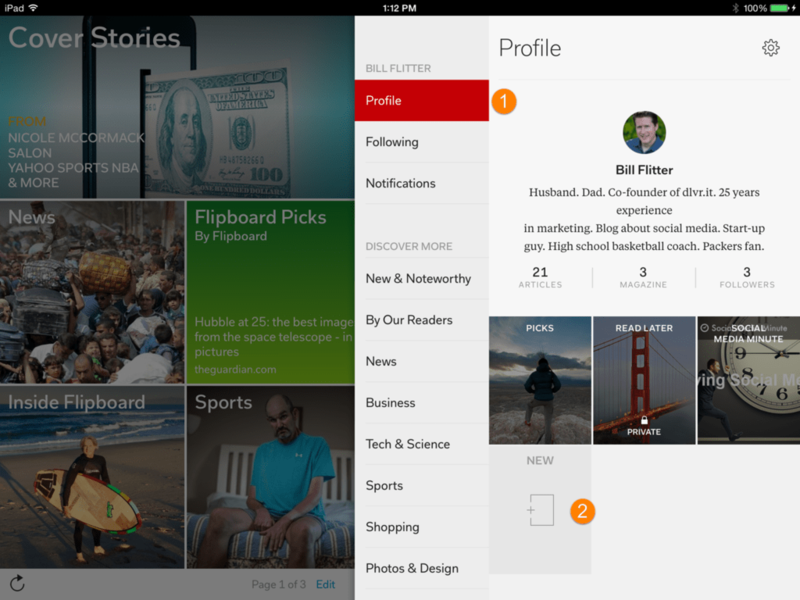 Once you create a Flipboard account on your iPhone or iPad, follow the social account you added above. I chose to follow our dlvr.it Twitter account. You can do Facebook, LinkedIn, Google+ and more. Choose one (or more) of your social networks to follow. You have two options to add content to your magazine. Option 1. We showed you how to follow your social media updates. When you click on a blog post update in the Flipboard iPad app, you will see an action appear at the bottom of the post. On the lower right, click the “+”. Add the blog post to your magazine. Tip: Add some of your older blog posts to your magazine before promoting it or making it public. No one wants to buy from a store when the shelves are nearly empty. Adding content will increase the opportunity that someone will follow you. Flipboard automatically categorizes your content, and it indexes it so others can find it when they search for new topics to follow. 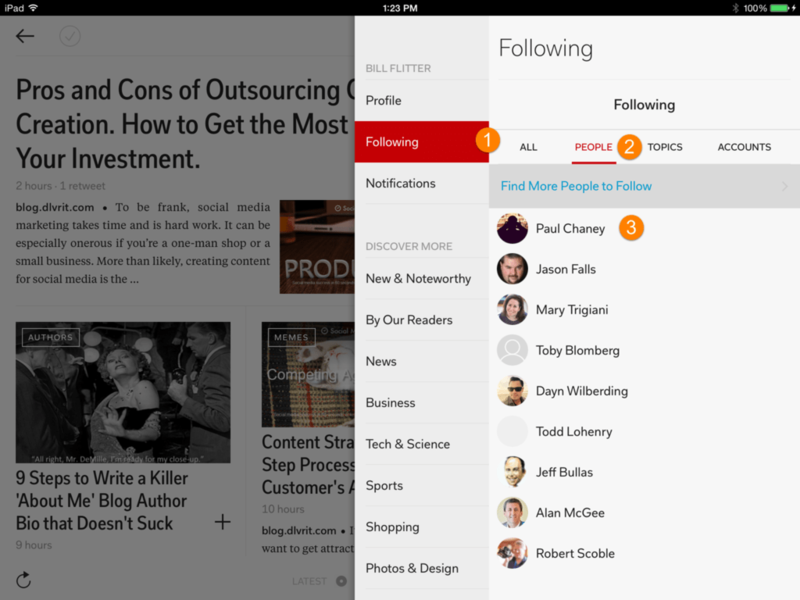 Since Flipboard is a social magazine, you can follow people just like you do on any other social network. With a new magazine full of content, they may just follow you back. More followers you have, more exposure you get and more traffic is driven to your content. Todd, I assume you are speaking about Step 3, Option 1? 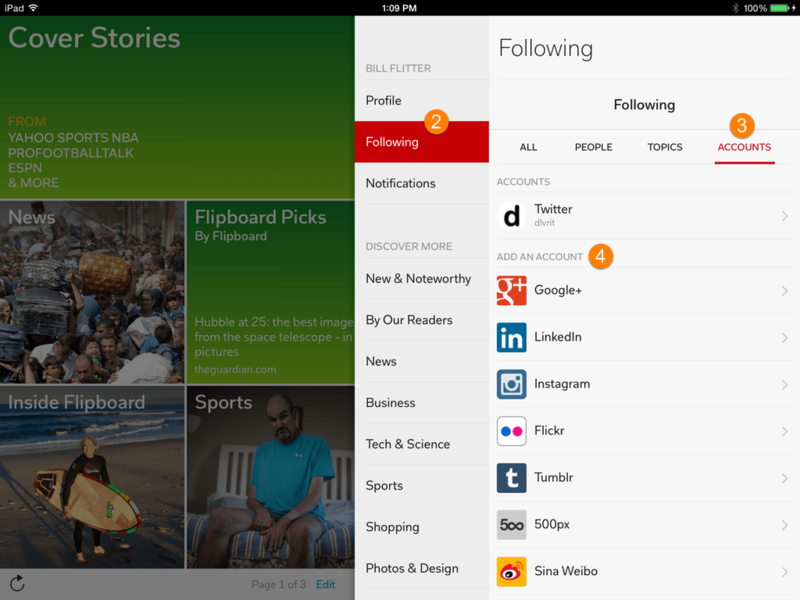 When reviewing your own social media stream in Flipboard, click on an update. This will take you to the webpage but you remain within the Flipboard environment. At the bottom of the Flipboard frame, you should see some action buttons. One of them is the “+” symbol. Click it and it should reveal the magazine you created. Great! Happy to hear that.